A good pillow can be essential for a good sleep. Sleeping with our neck in a bad position can reduce the regenerating effect of sleeping and even cause cervical problems. Usually people sleeping on their side tend to like higher and firmer pillows, to fill the gap between neck and shoulder and keep our back straight, while belly sleeper should use thin or very soft cushions. Anyway that’s just a suggestion (not a fixed rule) that can be changed on personal tastes and habits. 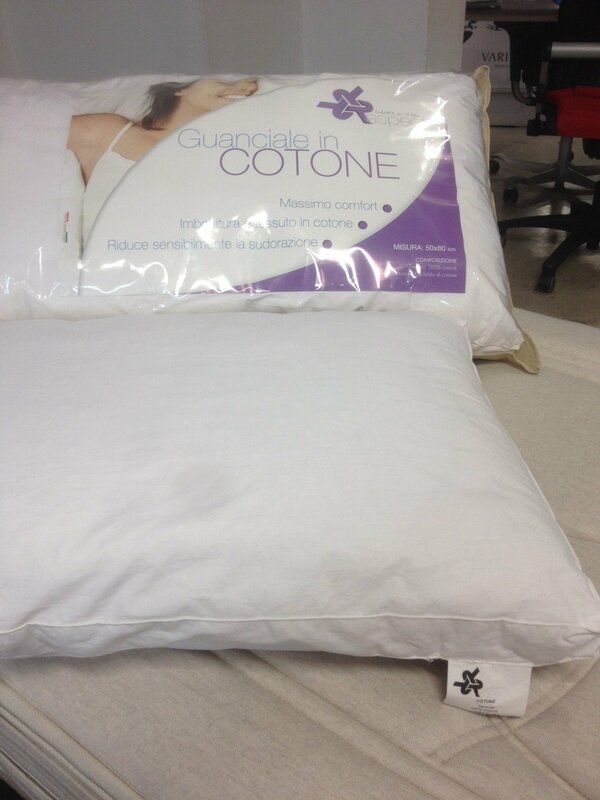 Since we place our face on it, the choice of a pillow is highly personal and emotional, that’s why we have many models available for an in-store trial. – ultra-fresh linen&cotton, available also with memory foam support inside, for those who like high firm pillows. 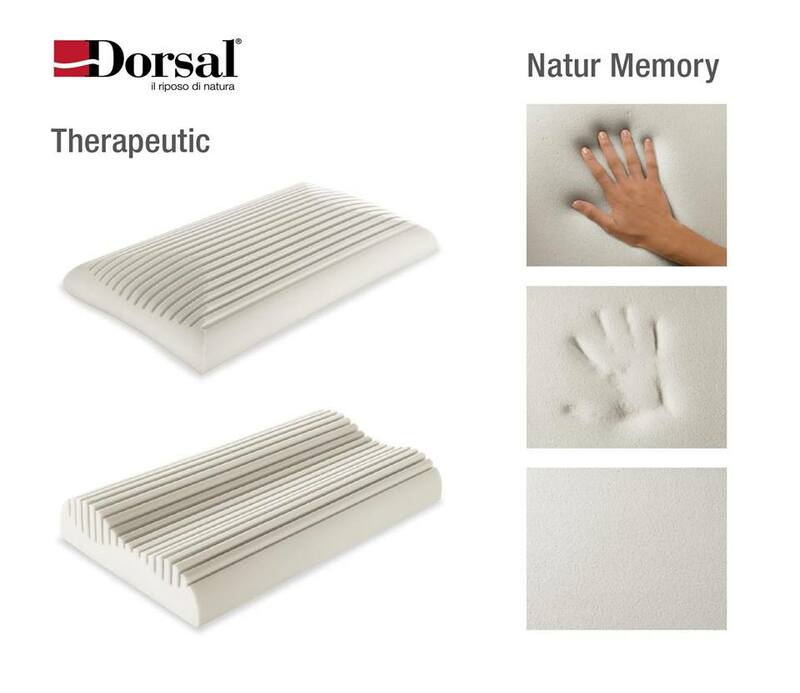 The 3 memory foam collections we deal come both in traditional and ergonomical two-waves shape, particularly reccomended for cervical support, thanks to its higher neck support.